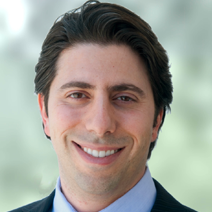 Michael Cohen is the founder and principal of the Cohen IP Law Group, P.C. Michael's practice focuses on matters involving intellectual property, business and entertainment law. He is registered to practice before the USPTO and is experienced in IP litigation. "Mr. Cohen is a IP specialist. We came to him during the ground level of our startup company regarding our app. Michael provided us with sound advice every step of the way first regarding with the protection of our app by navigating us through the rough waters of the patenting process, trademarking the name of it and advising us regarding the formation and structuring of our Delaware corporation. What is particularly nice is the clarity of his advice really shows that he has been through the ringer several times and was able to help us avoid all the pitfalls that now looking back I have seen many of my colleagues have gone through. I would recommend him to anyone looking to clear a patent! Always professional and always willing to take the time to help you understand the process"
"We are a distributor/retailer of a highly popular and well known consumer household product. We were was sued for patent infringement in federal court in California. We hired Michael to represent our company during this trying time - he was able to guide us and provide great advice over the course of the 2-3 years this highly complex case took to resolve. Michael was the only attorney involved who seemed to know what was going. I was proud and relieved to have him on my side. His experience gives him unique insight into either side's positions and thought processes so he is really able to see the road ahead and anticipate any issues that may or may not be a problem. Also because of his litigation experience, it lead to a substantial cost savings by avoiding unnecessary motions. He was able to negotiate a global settlement and all the parties were happy with and also able to strong pressure on our insurance company when they failed to provide coverage. Because of Michael and his team, not only did he efficiently resolve the dispute, but was also able to make the insurance company compensate us for all legal costs. He really hit a home run with our case - and we couldn't be happier. Michael and his team are responsive, available to you via email and phone and always there to answer questions and steer you in the right way. I highly recommend him!"